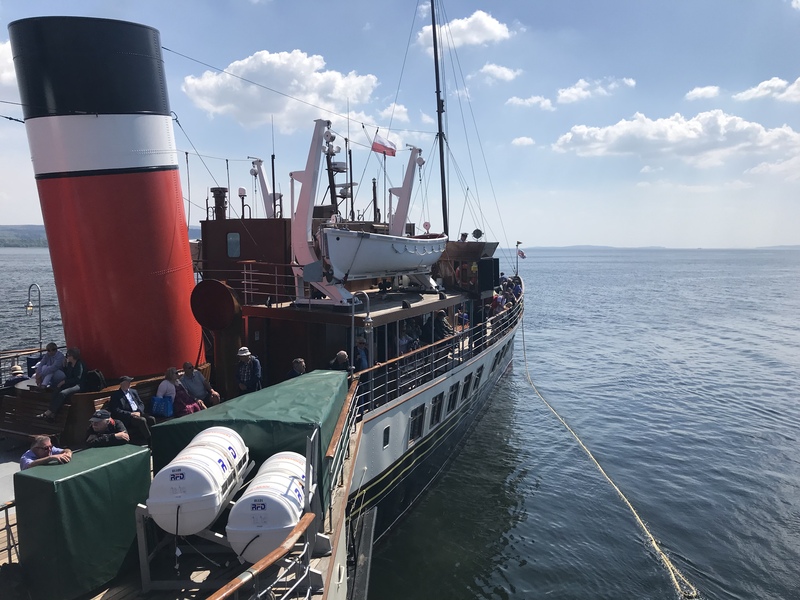 Paddle Steamer Waverley's 2018 season, remarkably her 44th season in preservation, got under way in splendid conditions on Friday 25th May. 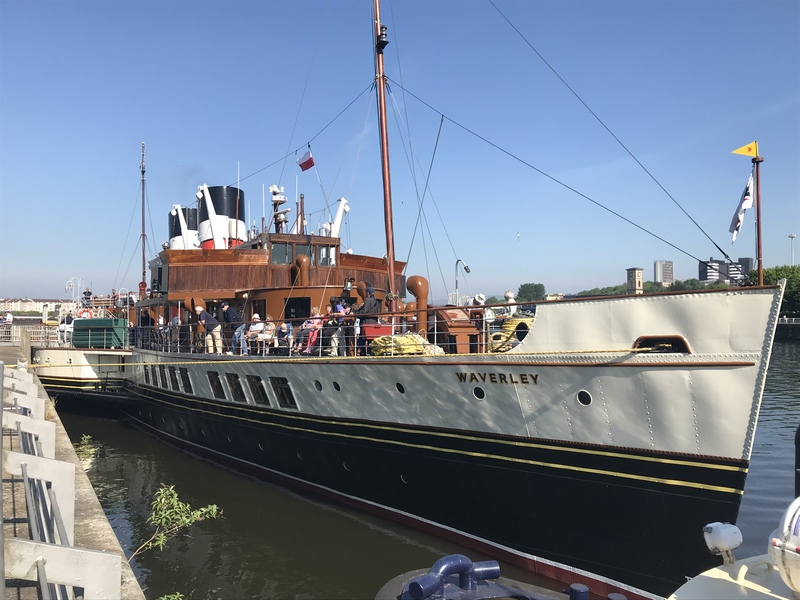 Waverley at Glasgow just before her 10am departure. The cruise itinerary for the first sailing of 2018. 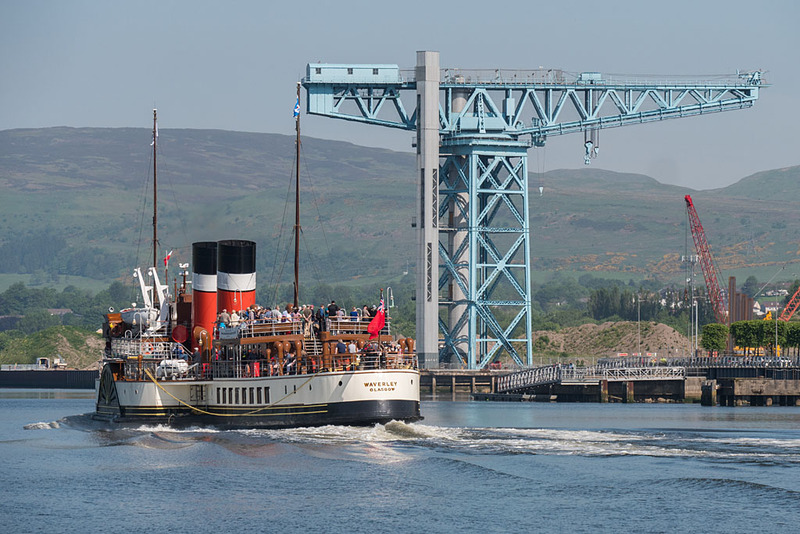 Waverley departed Glasgow at 10am and headed down river after being assisted to turn by the tug Biter. 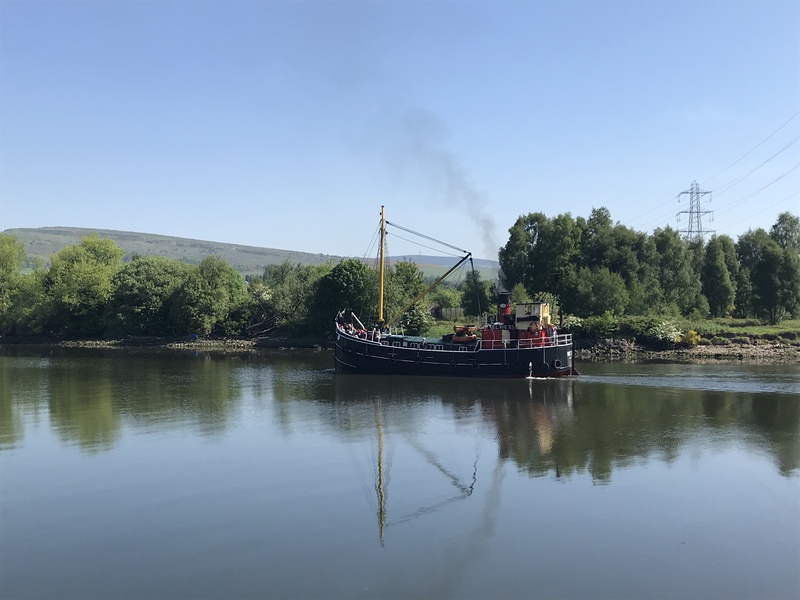 On passage downriver Waverley passed the preserved puffer Vic 32. 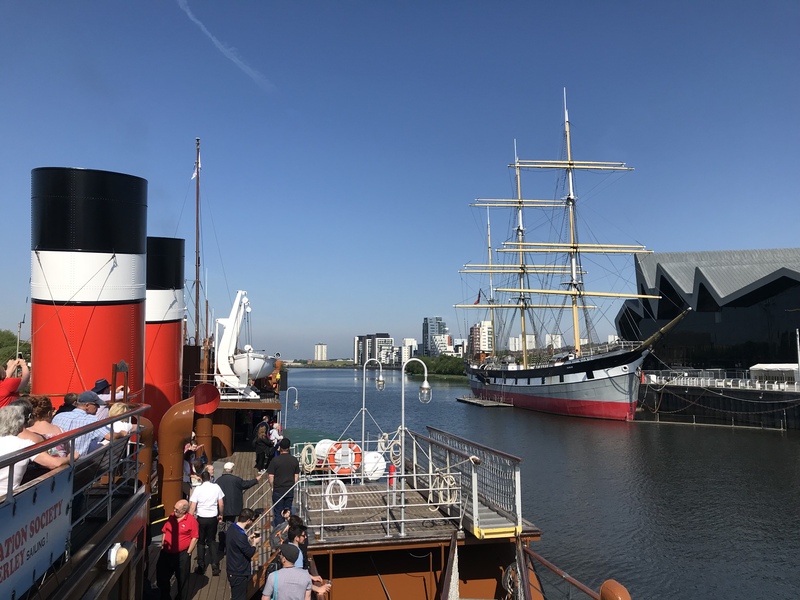 Waverley passes the Glenlee and Riverside Museum. Passing the preserved puffer - Vic 32 - also heading down river. 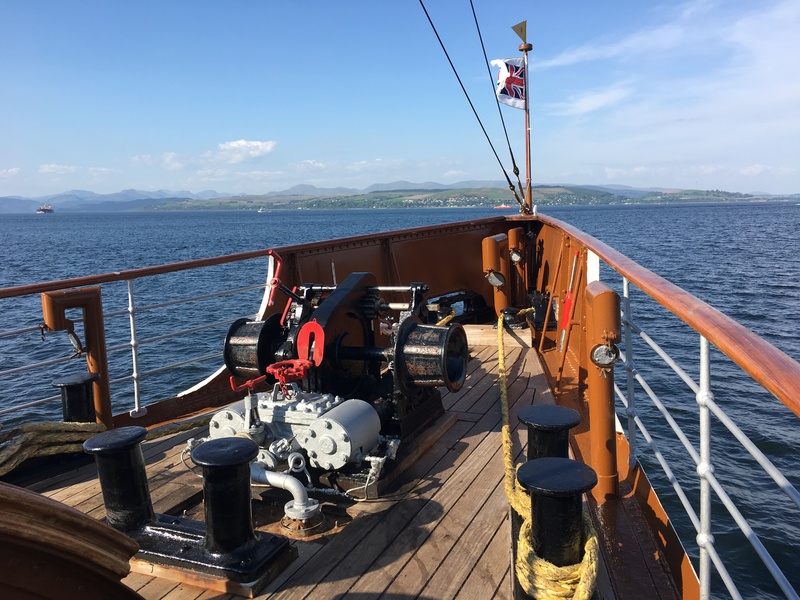 Greenock was made in good time and soon it was on to Largs for her first call at the North Ayrshire town for 2018. 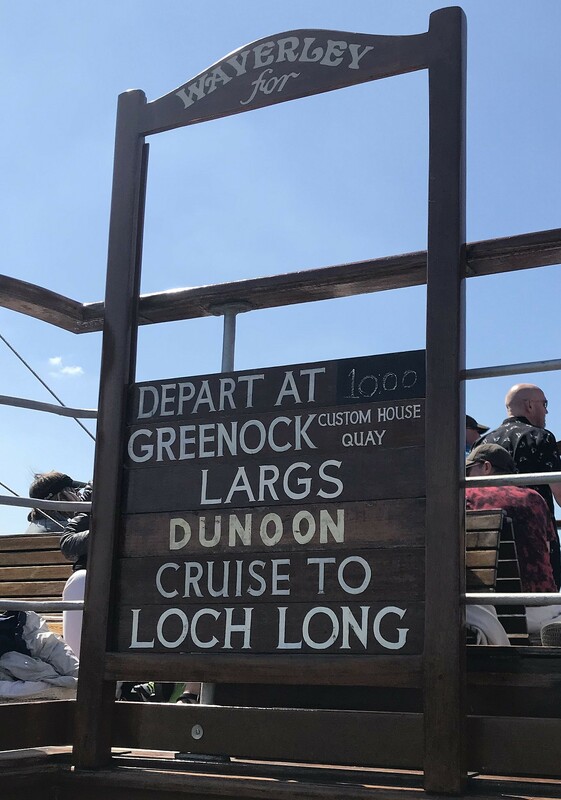 Dunoon was approached from the North where a good exchange of passengers took place before Waverley headed for her original LNER cruising route to Loch Long. It’s worth noting that on Sunday 24th June the LNER will return as operator on the East Coast Railway just over 70 years after Nationalisation took place. The newly formed LNER will take over all existing routes currently operated by Virgin Trains East Coast. Some of the new souvenir items on board in Waverley’s shop this season highlight the ship's original owners. Departing Dunoon on the outward journey. 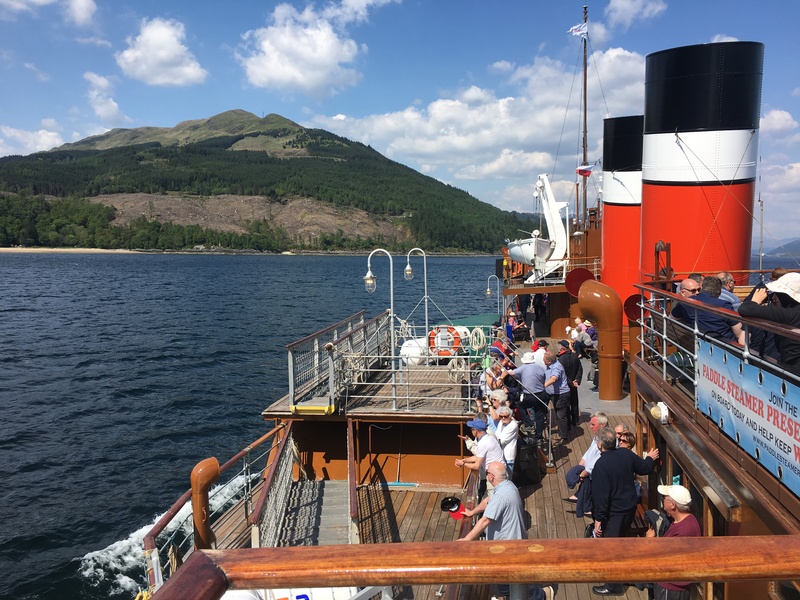 After the holiday weekend Waverley will head north her annual visit to the Western Isles. 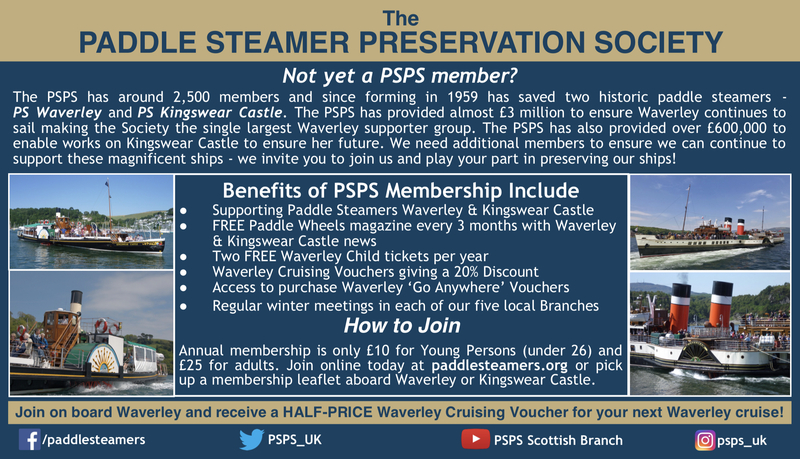 Check back to the PSPS website for further updates as Waverley's season unfolds. To book tickets for any cruise visit www.waverleyexcursions.co.uk. 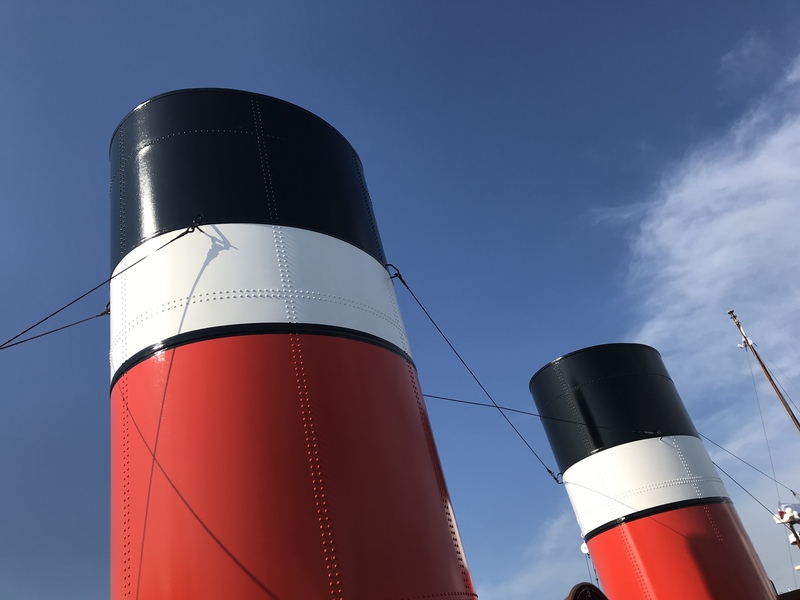 The newly painted funnels in original LNER colours. A short video capturing the first cruise of the season is now available on the PSPS YouTube channel.